Hoshyar Foundation is a secular, non-profit, U.S.-based organization whose purpose is to raise and distribute funds in support of human empowerment through female education. Hoshyar's principal mandate is to increase girls' and women's access to education, especially beyond primary school. 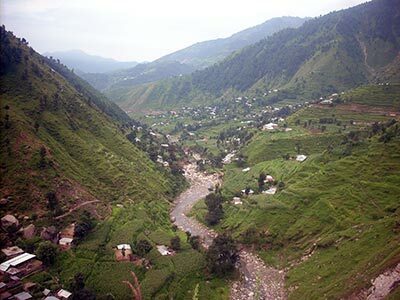 We work primarily in remote communities in Pakistan. Hoshyar’s programs emphasize female empowerment through formal education and literacy training. 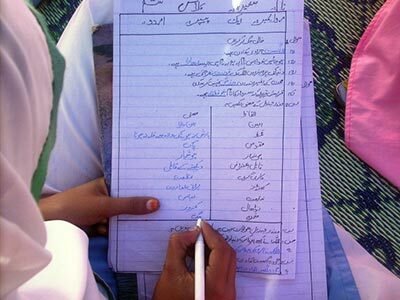 We presently sponsor schools in eastern and northwestern Pakistan. Learn about our programs in Lahore, Mansehra district, and other areas. 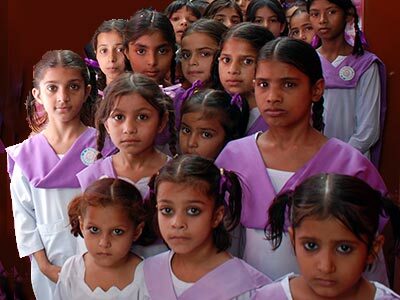 Hoshyar focuses its efforts on keeping female students in school past the primary level. Our students are eager for the opportunity to study. Explore the students’ perspective, the way schooling is organized, and the larger economic context. Hoshyar’s work is based on an appreciation of the history and culture of the South Asian region. Discover the role of the women’s movement in Pakistan, find good stories for young learners, and follow the camera into the classroom. © 2019 Hoshyar Foundation. All rights reserved. Our Policy. This Policy covers Hoshyar’s treatment of personal information or personally identifiable information (collectively “Personal Information”) that may be collected or submitted when you are using Hoshyar’s website or otherwise corresponding in any way with Hoshyar or its Directors via regular mail, email, or any other form of communication. This Policy does not apply to other organizations, entities, or companies besides Hoshyar. How We Collect Your Personal Information. While using Hoshyar’s website, or otherwise communicating with or corresponding with Hoshyar, you may submit Personal Information, which may include your Name, Address, Email address, Phone number, Credit, Debit, or Paypal information, Age, Gender, or other Personal Information. We may use this information for the specific, limited, and intended purposes for which it is gathered. You may always “opt out”, either now or at any time in the future, if you do not want us to continue to collect any information from you or if you no longer wish to receive our messages. Personal Information may also include your IP address from where you visit the Hoshyar website. Your IP information allows us to understand how you use our site and to enable us to make changes to our site in order to improve your experience. It may also be used in the event there is a need to diagnose any problems with our service, to administer the website, and for other statistical metrics used to track visitor traffic. Email Privacy. Hoshyar does not provide, sell, or rent email addresses, or any other Personal Information, to anyone outside of the organization. External Links. Although Hoshyar’s website includes links to external websites, these links do not fall under the Hoshyar domain, and Hoshyar is not responsible for the privacy practices or the content of any external website. Your use of any linked website is solely at your own risk. Modifications. We may amend this Policy from time to time. Please review it periodically. We maintain the option to modify this Policy at any time by electronic notice posted on the Hoshyar website. Your continued use of the website after the date that such notices are posted will be deemed to be your agreement to any of the changed terms.